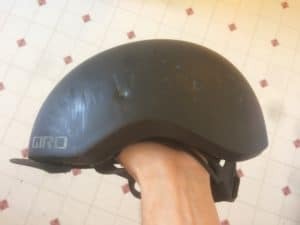 When Do Bicycle Helmets Expire? My dad’s Schwinn Continental is from the 1970’s and works like a charm. While there are some old things that can stand the test of time, such as a good bicycle, there are other things that cannot or should not. A bicycle helmet should not be used for a lifetime. 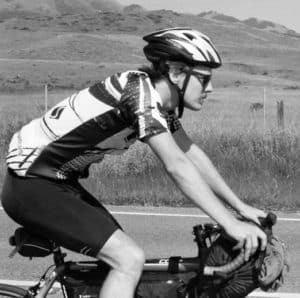 Perhaps you’ve asked the question, “When do bicycle helmets expire?” or “What is the life span of a bike helmet?” I wondered the same thing, and scoured the web to put this article together. Prepare to get the facts about the lifetime of a bike helmet. The quick and easy answer is that a bike helmet does not have an expiration date, but should be replaced every 5 years. The Snell Memorial Foundation is a group that have been testing and setting safety standards for all types of protective gear. They set the bar high when it comes to safety, and they’re the one who came up with the 5 year number. In addition, a bike helmet should be replaced after a bike crash or if you spot any cracks or defects. The Snell Foundation came up with this number based on their own findings and those of helmet manufacturers. They came to this number based on three general factors. Factor #1 is that some of the materials used to build the helmet naturally begin to degrade over time. Factor #2 is that over the course of 5 years a helmet will come into contact with sunblock, hair oils, cleaners, body fluids, and other cosmetics that attribute to the wear and tear of a helmet. Factor #3 is that the industry is constantly improving helmets in design, materials, and standards. A helmet from this year is more likely to be safer than a never worn helmet from five years ago. These are the factors that they considered when they come up with their 5 year recommendation. The word ‘recommendation’ is the vocabulary that they used. Take that however you want. Snell is a reputable non-profit organization that was named after a guy who died in a racing accident when his helmet failed to protect him. It should be stated that their goal isn’t cash, but your safety. You can read Snell’s own reasoning for the 5 years here. Does this mean every helmet will last for 5 years? Absolutely not. Here are a few things you should consider when deciding whether it is time to replace your helmet or not. Helmets absolutely need to meet certain safety standards. Organizations that set the safety standards look at how well a helmet stays on, the coverage of protection, how impact energy is managed, and more. When a helmet has met these standards through testing they will receive a stamp from either the Snell Memorial Foundation, the Consumer Product Safety Commission or the American Society for Testing and Materials. If your bike helmet has not met the standards of one of these groups, you should replace it. Every safety standards group and helmet company agree: if you crash while wearing a helmet you need to replace it. Bicycle helmets are not meant to be used after they’ve been involved in a crash. They are a one time use item. Helmets are made of a foam material that compresses upon impact. When you crash and smack your head on the asphalt the foam will be crushed to act as a cushion with the intention of protecting you. Compressed foam won’t do the job as well as when it is non-compressed thus it is time to get a new helmet. Even if your helmet seems to be ok after a crash, it is very possible that the foam underneath the shell has absorbed the impact and you just can’t see it. I took a nasty fall years ago that ended with a broken collarbone, but thankfully my head was safe thanks to my helmet. You can see the scratches and even a gouge where a rock made an impression into my helmet. All this to say…if you crashed on your helmet it is time to get a replacement. Drink a glass of milk after it is expired and you know it’s bad by the taste and smell. It’s not quite the same with a bike helmet, because it can continue to look and feel good enough to protect your dome. The Snell 5 year mark is a recommendation. Helmet manufacturers give their own expiration time line for their individual helmets. I have seen some say that it’s time for a new helmet as soon as 3 years and others say they’re good for 8. I would be hesitant to buy a helmet when the manufacturer is claiming that it will only be usable for 3 years. To me that seems like a cash grab to get customers purchasing a new helmet as soon as possible. 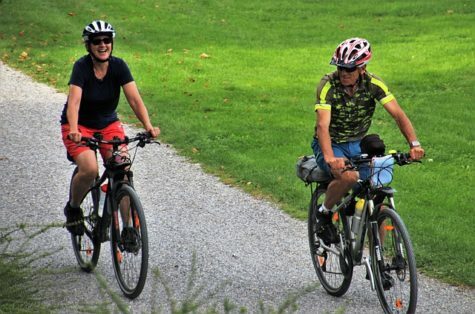 Check out what the bike helmet manufacturer says about your specific helmet and life span. How exactly do helmets wear out? Interestingly enough the foam that helmets are made of won’t degrade any time soon. A study done by MEA Forensic found that the foam liners from helmets will retain their performance for many years (source). So if the foam won’t degrade how does a helmet wear out? The breakdown of a helmet happens when the outer shell degrades from UV light. The UV light can make the shell brittle. One of the purposes of the shell is to help the foam keep its structure. If the shell is weak than a high impact crash will compromise the structural integrity of the foam. The foam is less likely to hold proper shape and can break upon impact. It is recommended that you look over your helmet often. Check the foam for tears, splits, and breaks. Make sure that the chinstrap and buckles aren’t torn and are working properly. You should also inspect the shell to make sure it is not faded from UV light. If you see any issues with the helmet than it is time to get yourself a new one. Do you own a vintage helmet that you love to wear while cycling around? Older helmets make great collectables, but should not be trusted to keep you safe. Bike helmets made before 1990s should not be worn. The materials that were used do not meet safety standards and will not provide protection in a bike crash. Newer helmets have a hard shell to help keep the foam together, and also allow your head to slide along the ground in case of a crash. Older helmets either don’t have the hard shell or have a thin foam liner. They may be fun cycling piece of memorabilia, but don’t trust your well being by wearing one while you ride. 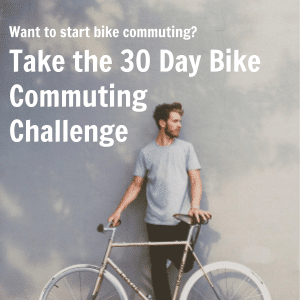 Riding a bicycle isn’t the safest of activities, and a bike commuter should take measures to keep safe while getting to work. 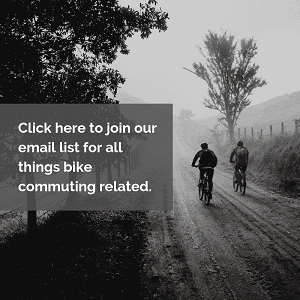 The facts are that in 2016 there were 835 bicyclists killed in crashes with motor vehicles in the United States. Of this number 51% of the bicyclists were not wearing helmets, 16% wore helmets, and 33% weren’t recorded. It’s easy to see that a helmet can save your life in an unfortunate accident. Why take the chance? Wear a helmet to keep riding for many years, and make sure that it meets the guidelines presented in this article so that it will be effective if need be. If you’re looking for a great helmet for your bike commute check out my recommendation by clicking here.